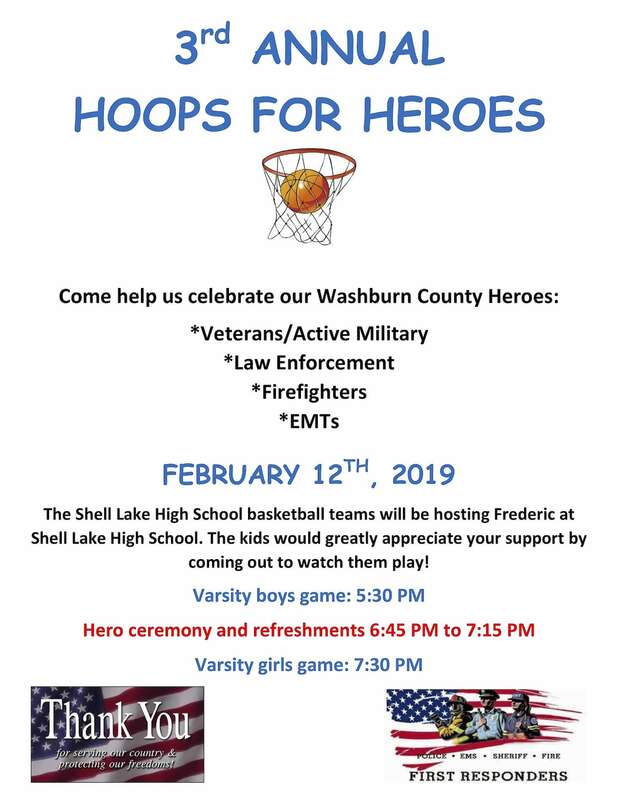 WASHBURN COUNTY -- The Shell Lake High School basketball teams will be hosting Frederic at Shell Lake High School. The kids would greatly appreciate your support by coming out to watch them play on FEBRUARY 12TH, 2019! Varisty boys game starts at 5:30p and Varsity girls game starts at 7:30p. A ceremony and refreshments take place inbetween the games.